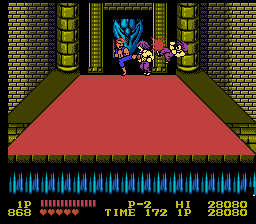 NES Double Dragon (USA) in 09:35.15 by Phil. Released on many systems, this game was so popular they even released it for cellular phones and made a board game. This version is 51 seconds faster than version 3.